Ferry services along the Thames had long provided an important part of London’s transport system, but they were rarely been profitable, and often failed after the loss of a vessel with its passengers. In 1904 the London County Council succeeded in getting a Bill though Parliament which enabled them to start a service, and as a result they ordered 30 paddle steamers. As befits a London service, the steamers were named after people associated with the city, and received names such as Whittington, Marlowe, Pepys, Purcell, Gresham, and the Alleyn, which was built by the Thames Iron Works between 1905 and 1907. She was about 140 feet long and 17 feet wide. 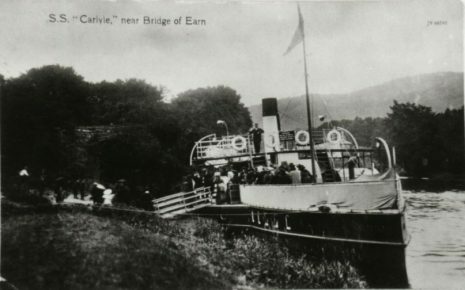 The service was not a success and in 1909 the Alleyn was sold to Tay Steamboat Co. for use on the Tay to Bridge of Earn run. She was sold again in 1912 and took passengers along the south coast between seaside resorts. With thanks to Gordon Stewart for his help with this image. In late 1914 Britain went to war against the Ottoman Empire. The British attacked on several fronts, most famously at the Dardanelles and Gallipoli in 1915. Another front was opened up in 1914 when the British attacked the Turks in Mesopotamia, modern day Iraq. The campaign was motivated both by the desire to secure control of the petroleum producing regions of the Gulf (the Royal Navy consumed 92% of Britain’s oil in the war) and by the perceived need to maintain and enhance British prestige amongst India’s large Muslim population. The campaign started well with the capture of Basra in late 1914, but political considerations in London demanded that optimistic demands were placed on the British-Indian forces, and they were ordered northwards to Baghdad. Logistics again provided a weak point in British operations, and a retreat southwards from near Baghdad let to a British army being surrounded in late 1916 at Kut Al Amara. Supplies could not get through and the British-Indian forces were required to surrender. Old Alleynians Lieutenant-Colonel Pulteney Gabbett, Major Arthur White, Captain Charles Tresidder, Captain Arthur Martin, 2nd Lieutenant Howard Covell, and 2nd Lieutenant Edwin Covington, as well as Captain Arthur Kittermaster, who had been a member of the teaching staff, all died during the attempts to get a relief column to Kut. 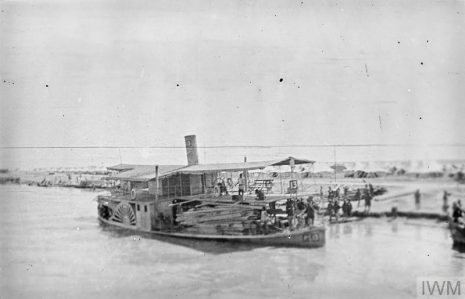 To give greater support to operations in Mesopotamia, ships with shallow drafts were requisitioned to operate along the Tigris and Euphrates. The Alleyn was requisitioned by the Royal Indian Marine and War Office for use in Mesopotamia in 1916, and renamed initially PS 41, later PT 41. With new equipment, better supplies and fresh leadership, the British again attacked, and in March 1917 Baghdad fell. Mesopotamia was captured. The Alleyn survived the war, and in 1920 was sold to a Mr Semouha. Its later fate is currently unknown. In total 8 Old Alleynians died during the various actions in Mesopotamia over the course of the War, 5 of whom had been serving in Indian Army units, as well as one member of the College’s teaching staff.